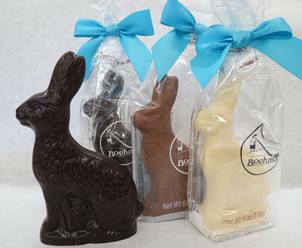 For Boehm’s that means yellow ducks, lambs, eggs, bunnies & more! March not only marks the month where our calendars tell us Winter is over and Spring is here. March represents a season of change. A recovery from our busiest holidays – Christmas and Valentine’s Day. It is also a month where we focus on our next holiday –Easter. 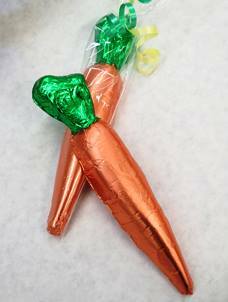 We have bunnies and rabbits ranging from 2.5oz to 8lbs –even foiled carrots for them to nibble on. 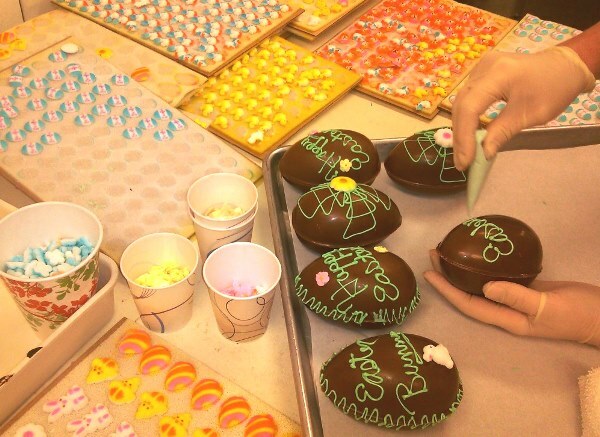 Our hand-molded and decorated eggs can be personalized for an added touch. 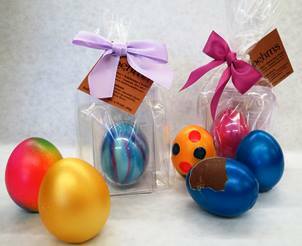 The colorful real eggs imported from Germany are back. These are real eggshells that have been blown out, sterilized, and filled with a chocolate praline. Just crack like a hard-boiled egg and enjoy this unique delicious chocolate treat! For those that do not celebrate Easter, there are still plenty of items that will catch your eye. From a cute yellow rubber ducky (made from a colored coating and flavored with citrus) to white and black (dark chocolate) lambs adorned by colorful ribbon. 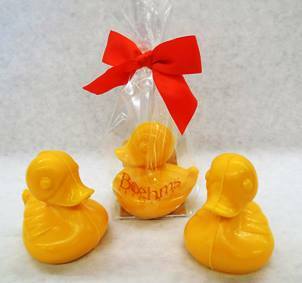 New offerings by Boehm’s also include our new line of Real Fruit in Chocolate –a new rage in New York, Chicago and Europe. Simply real fruit, real chocolate, nothing else. 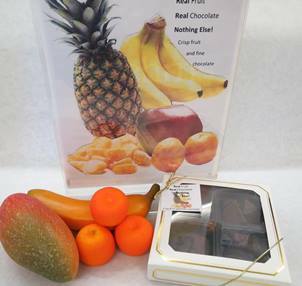 The Real Fruit Box has a mix of Pineapple, Mango, Banana and Tangerine –simply delicious! 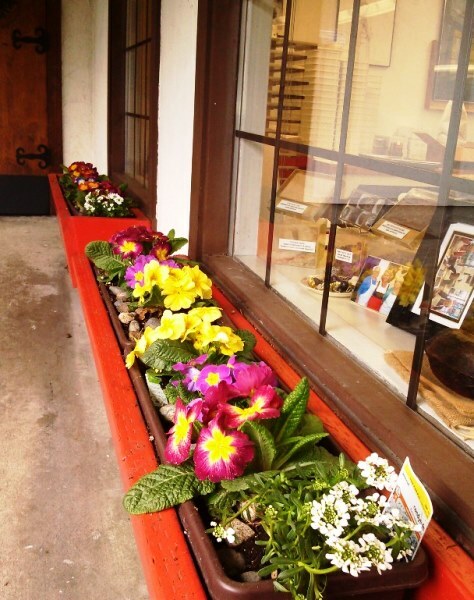 As the blossoms start to bloom and color comes to life, we hope you’ll stop by and say hello. Our windows sport bright colored flowers and the buds on the trees are a promise to a new year of beginnings. When I was young the German bakery used to make large sugar Easter eggs that had a hole in one end and a seam inside of bunnies playing. Don’t see them made many more. My grandfathers name was Nador Boehm. Came here in 1897 or so, to work as a cabinet maker for Steinway Piano. He was one of 6 brothers and one sister. Their father operated a furniture factory and school in what was the Austian Hungarian Empire.. All but one left to come to America. Boehm seems to be more common then I thought. So interesting to see the name in porcelain birds now candy.